JEFFERSON CITY, Mo. – With each day, it seems that ongoing story of Gov. Eric Greitens’ attempt to oust Missouri State Board of Education Commissioner Margie Vandeven continues growing and taking new turns. The latest development is one that has been hinted at since the Board failed to vote out the commissioner last Friday. News broke Thursday evening that Claudia Greim, another one of Greitens’ appointees, resigned effective immediately, less than a day before the next scheduled meeting of the Board. Meanwhile, two lawsuits against the State Board of Education were presented before Judge Jon Beetem in the Cole County Circuit Court on Thursday afternoon. Beetem had been appointed the judge in both cases following a motion for a change of judges in one case and Judge Daniel Green’s recusal in the other. With the arguments presented on both sides of the two cases, all that’s left is to wait for a decision from Judge Beetem. In the first case, John “Tim” Sumners v. Gov. Eric Greitens, Jennifer Edwards and the State Board of Education, former solicitor general Jim Layton presented his case to the court, explaining how the Governor’s actions had violated the state statutes, and laying out his evidence to prove that Edwards could not have been appointed. Layton explained, quite simply, that his client had been withdrawn in a manner that did not sufficiently meet the requirements listed out by statute on how to properly remove a member. Layton contended that by allowing the Governor to remove and appoint members over and over, it gave the executive branch unilateral powers to remove people from boards and commissions across the state. In essence, Layton explained, the Governor could simply remove those who disagreed with him and put in someone more agreeable. The defense, however, argued that there were fundamental differences between being a board member and a temporary appointee, saying that as such, Sumners was not actually a member, but something else entirely. They argued that a temporary appointment had the powers to act, but was not a full member. But furthermore, they argued that Sumners had no real grounds to bring the case forward, saying that if the court sided with Sumners in the matter, then it would by default have to agree that Melissa Gelner, the member who had been withdrawn prior to Sumners’ appointment, was the actually Board member. After both sides rested their case, the next suit was brought forward in Sullivan v. State Board of Education. Laurie Sullivan, a teacher from Springfield, Mo., filed a civil suit against the Board, arguing that they had violated the Sunshine Law with their closed session meeting. Martin pointed out that the Board had allowed all three appointees – Gelner, Sumners, and Edwards into the closed meeting, but argued that by asking if Edwards had been sworn in, and excluding the other two from the vote, the board had made a conscious decision regarding the appointment, which would fall outside of the scope of the given agenda of the closed session meeting. The attorneys for the board argued that the lawsuit was “flying under a false flag” by using the Sunshine Law, calling it just another attempt to undermine the powers granted to the Governor. They pointed out that, under the Sunshine Law, the only real action that could result from the lawsuit would be to render the meeting as void. Martin did tell Judge Beetem that if he did in fact rule in favor of Sumners in the previous case, they would withdraw their own. 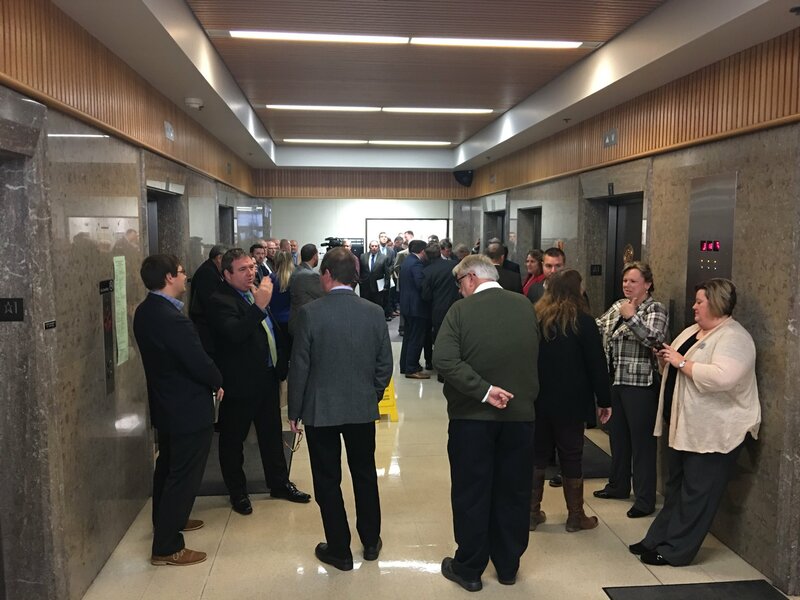 After receiving the proposed orders from all parties, Judge Beetem retired to his chambers, saying that his decision, if given Thursday night, would be emailed to all of the parties. The judge rendered his decision shortly before 9 p.m. Thursday night, denying both motions from both Sullivan and Sumners. S2De8Q Really appreciate you sharing this blog post.Thanks Again. Really Great. 5sTKdA The web is really useful for me and all people studying English. The quality of podcast is good and I hope there will be more useful and interesting lessons. Thanks! I just want to mention I am beginner to blogging and site-building and seriously liked this web-site. Most likely I’m likely to bookmark your blog . You certainly have very good writings. Thanks a lot for sharing with us your webpage. nrjqxp,A very good informative article. I’ve bookmarked your website and will be checking back in future! apjesvwxfy New Yeezy,A very good informative article. I’ve bookmarked your website and will be checking back in future! What are the very best cost-free blog sites that permit user-sponsored advertising and also sales? uiazur,We have a team of experts who could get you the correct settings for Bellsouth net email login through which, you can easily configure your email account with MS Outlook.